I have used this time during our 30-Day Clean Eating Challenge to experiment with different veggies. Because of SIBO, I’ve had to adjust my diet to eliminate vegetables that are high in FODMAPs. The normal veggies I love were causing me to have digestive distress particularly in the form of bloating. 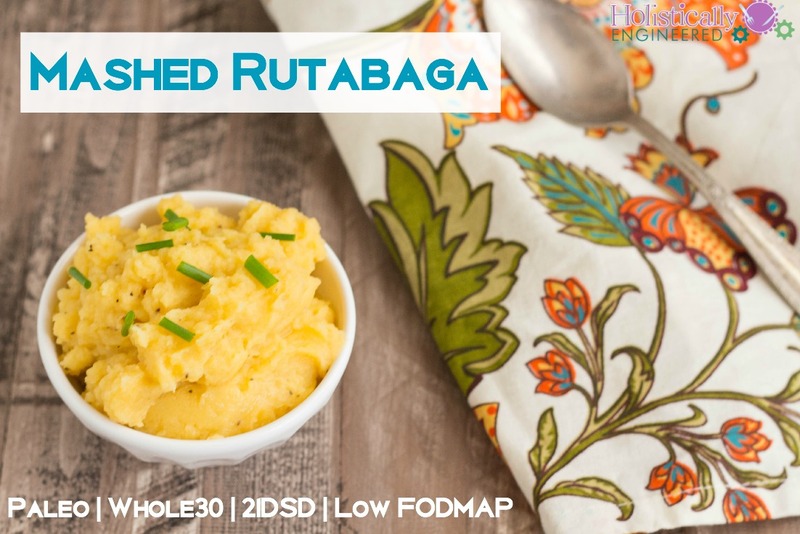 I have been branching out to try veggies that are lower in FODMAPs….this time I tried rutabaga. Although somedays it feels like a low FODMAP diet (in addition to paleo) is limiting, I also think it’s so amazing to be able to eat real food and to try food that I would have NEVER tried four years ago. 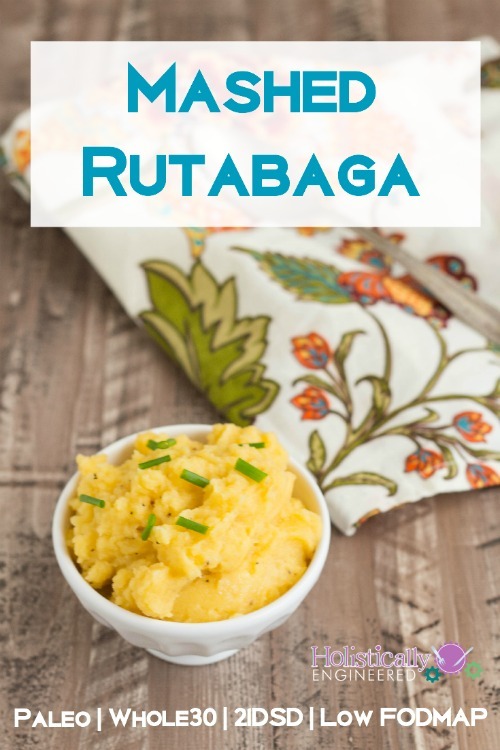 Rutabaga makes a wonderful potato substitute. I served it right along side a beef roast and it made the perfect side dish. It was easy to mash with my immersion blender and simply season with salt and pepper. It’s definitely worth a try! Fill a large pot with water and place over medium high heat. Add the rutabaga pieces and season with salt. Allow the water to come up to boil and then reduce the heat to a simmer. Simmer for 30-35 minutes or until the rutabaga is tender. Strain the water and return the rutabaga to the pot (with the heat off). Allow the remaining water to evaporate. Use an immersion blender or potato masher and mash the rutabaga until mostly smooth. Add in the coconut oil/ghee/butter and season with salt and pepper, to taste.